But before getting into the thick of it, let’s clarify a few things! The French vision of skincare is more focused on the sweetness way of doing things ( “your skin, you shouldn’t torture it” is one of the first beauty commandments), while on the other side of the Atlantic, a deep cleansing is always appreciated, with a lot of exfoliating products to remove everything (even the poor natural film which is protecting your skin, known as the hydrolipidic film ). Personally, I have always been on the fence between these two visions of things. 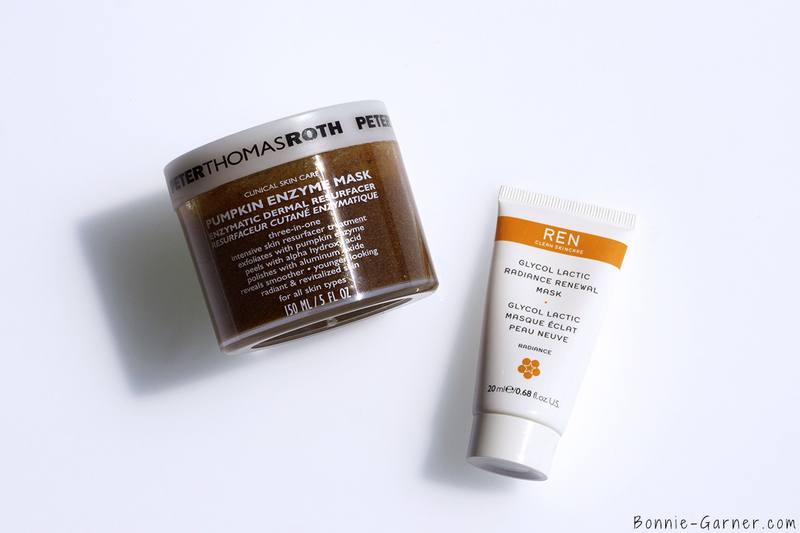 I don’t want to traumatize my skin by “over-exfoliating” it, but I appreciate a little boost with products that accelerate the skin renewal. And for now (I’m 37 and not a lot of wrinkles), I think it’s worked pretty well for me. 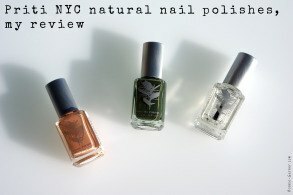 You probably understood it with this small introduction, the subject of this post is not necessarily scrubs or even skin cleansing (although it can be part of the subject). Daily skin exfoliation is simply the principle of helping the skin to get rid of dead skin cells that are naturally produced each day in order to boost the skin renewal. So for me, exfoliating your skin every day (or daily exfoliation) is more an anti-aging gesture. 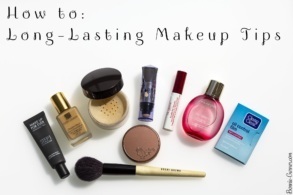 You need to use some products (or tools) designed specifically for a daily use. Of course, if you have a hyper-sensitive skin (fine skin that easily gets red), or eczema, rosacea, allergies, with a tendency to hyper-pigmentation, forget it! In these cases, the skin is too fragile and/or too fine for this kind of treatment. 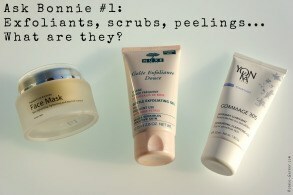 Why daily exfoliate your skin? 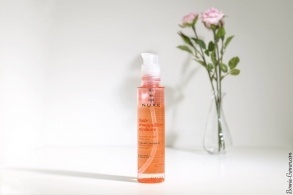 – smoother skin texture, with a luminous aspect. The skin is a living organ. It’s composed of skin cells that are renewed and rise to the surface of the skin. When they finish their journey, they flatten and come off: it’s the dead cells desquamation. The life-cycle of these skin cells is about 1 month, but over time (with age), the length of the life-cycle increases and the dead cells accumulate at the surface of the skin. The skin texture gets thicker, creating a dull skin effect. Daily exfoliation allows a regular and even skin renewal. It acts as a kind of “detox” by ridding the skin of dead cells that asphyxiate and dull its glow. A non-exfoliated skin can lead to a duller skin, the pores get blocked more easily (which can cause acne in some cases, if the hormones get involved). Pollution, sebum, impurities remain on the skin surface, asphyxiate it and prevent it from keeping its freshness and natural radiance, and therefore its youth. 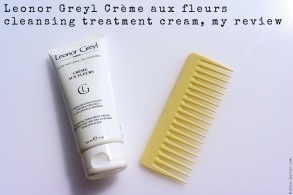 – be dull and uneven skin tone. This is why a good daily exfoliant can help you to maintain a glowy, luminous complexion, which looks younger. Does everybody have to exfoliate their skin daily? 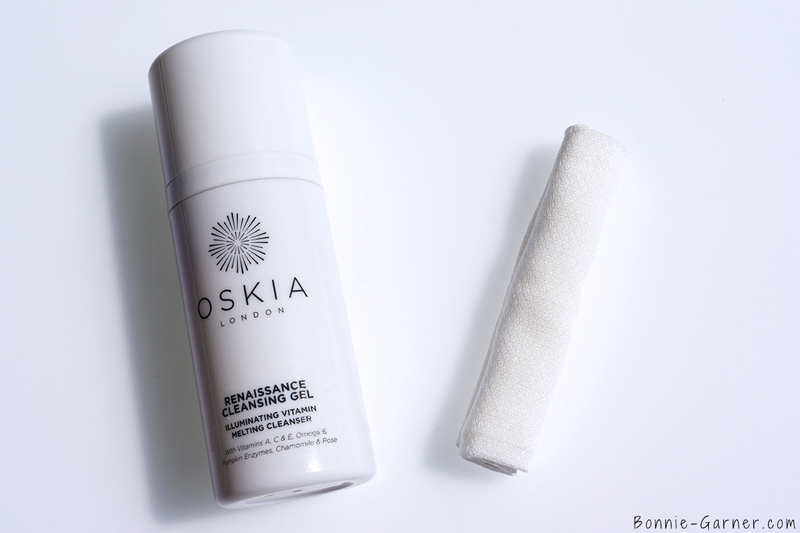 For a young skin that renews itself quickly well, no, it’s not really necessary. But from 30 years old and older (approximately, it all depends from a person to another and also your lifestyle), the cell life-cycle slows down and it needs to be a little “re-motivated”. A daily skin exfoliation will indeed remove dead cells on the skin surface and it will push the skin to renew itself quicker: it’s the famous “new skin” effect. 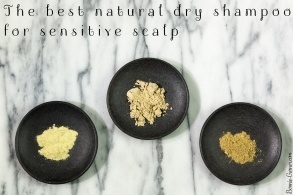 If the skin is very thin and/or very sensitive, daily skin exfoliation is not essential. 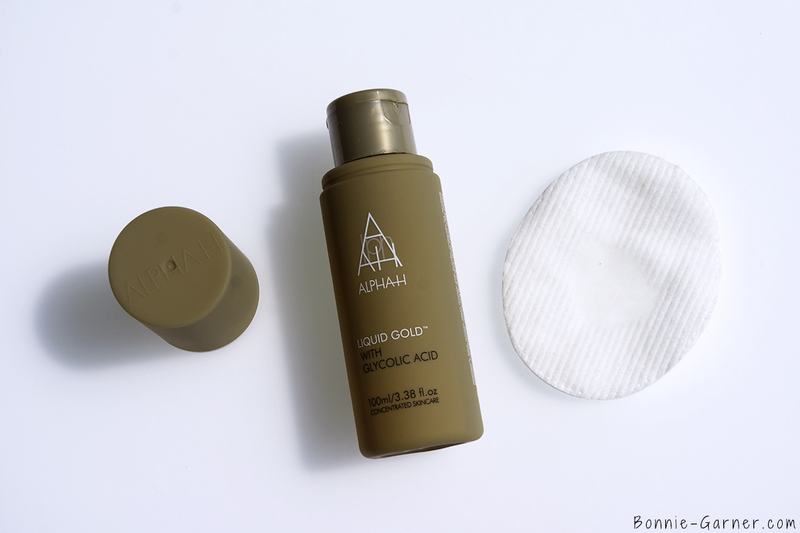 In these cases, the skin doesn’t really need to be boosted, but rather needs to be protected with soothing, nourishing and protective products. 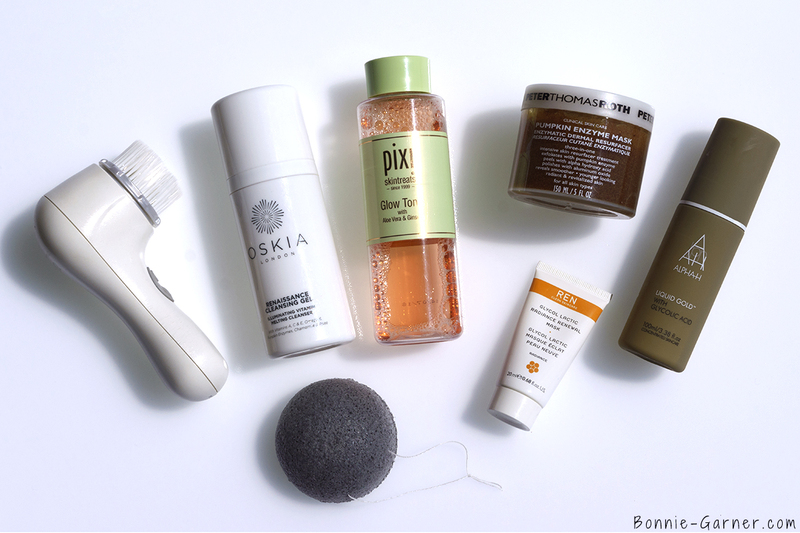 Which products can you use to exfoliate your skin every day? 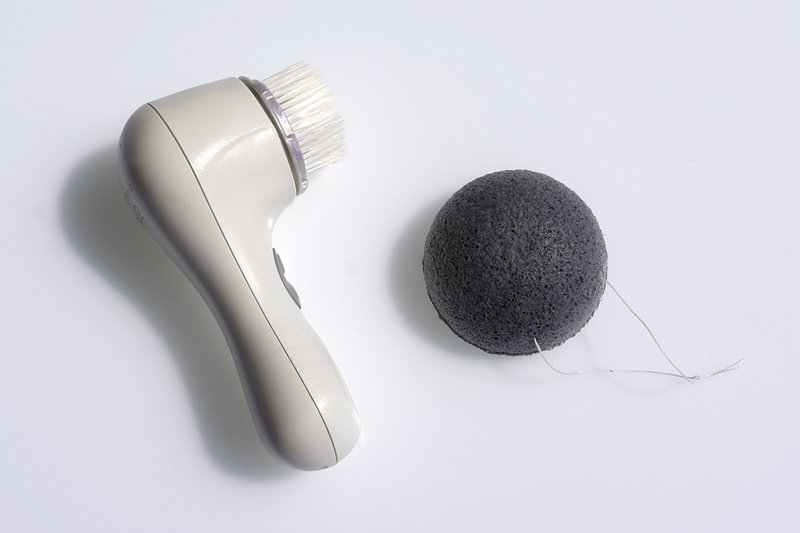 – “tools” or “devices” which exfoliate mechanically by rubbing slightly the skin for a light polishing effect. 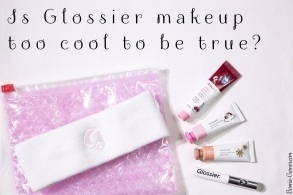 In this category, you will find Clarisonic vibrant brushes, Konjac sponges, washingcloths/ flannel/ muslin clothes, toilet gloves… generally used with a face cleanser (or used to rinse it) once a day (I personally wouldn’t advise using them more than that). Clarification: washing cloths/ flannels/ muslin clothes are kinds of squares of very soft fabric, very common in the United Kingdom or the United States and Canada. They’re used wet to remove your face cleanser or your makeup remover. They are washable and reusable. 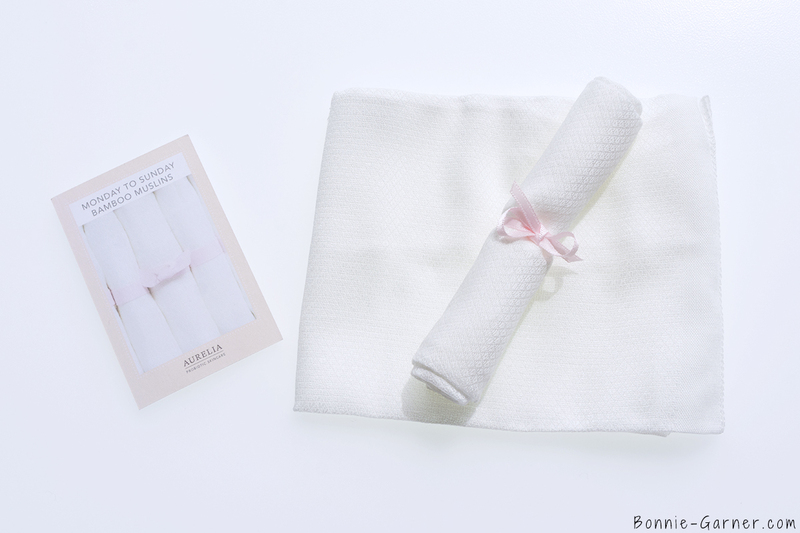 The ones I use at the moment are by Aurelia Probiotic Skincare, the Bamboo Muslin clothes, very soft and antibacterial. 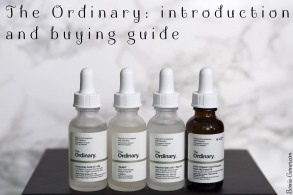 – exfoliating or clarifying lotions, or acid toners according to the brands. These are liquid lotions or pre-soaked cotton pads. In this case there are 2 combined exfoliating actions: the chemical exfoliation from the fruit acids (glycolic, salicylic, malic, lactic acids…) and the slight mechanical friction of the cotton pad on which the product is applied. Depending on the acid concentration, the exfoliation is more or less important. 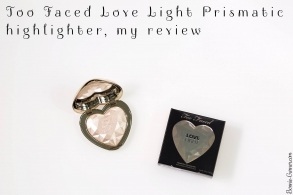 I generally use them once daily or 3 times maximum per week for the most concentrated, preferably in the evening. Indeed, during the night, the skin repairs and regenerates itself. 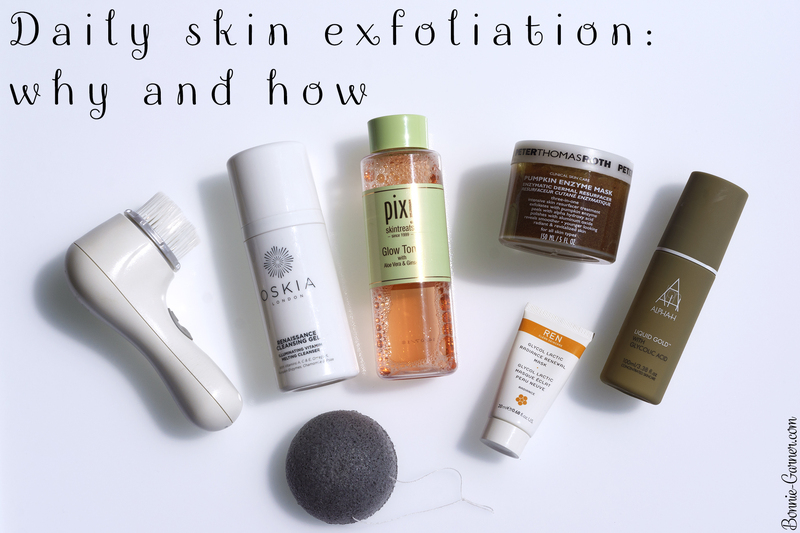 So you want to exfoliate when the skin is the most active to be more efficient. 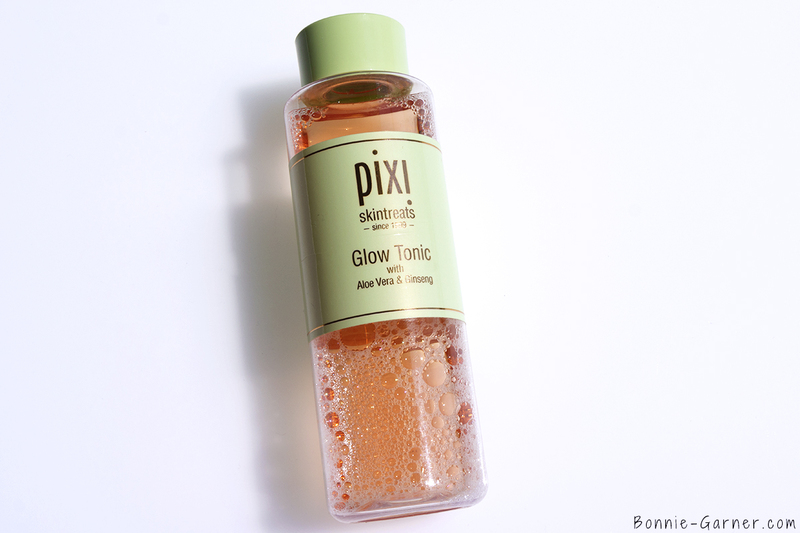 I haven’t tried these lot, but lately, I’ve been used Pixi Glow Tonic, an exfoliating lotion without alcohol, based on plant extracts and a little bit of glycolic acid, that I use after I have cleansed my face. This lotion is very soft, it can be used every night without a problem. 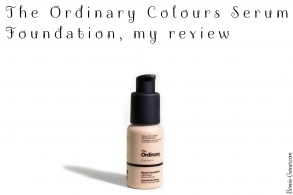 There are many other brands but the formulas are often very alcoholic, which I avoid on my skin (because it is too aggressive). – twice a year (usually in spring and autumn), I do a treatment with a fruit acids concentrated product I apply this only in the evening after cleansing my skin, instead of my night face cream. 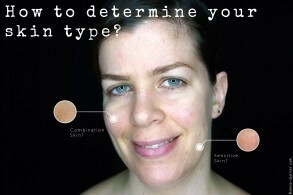 It exists in a lot of different forms: gels, lotions or even face creams. 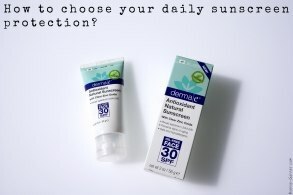 It’s better to apply it in the evening and to use a good SPF during the day. They are highly concentrated products that refine the skin, so your skin will need more protection during the day. I have tried 2 that I find very effective, to use as treatment for 1 to 2 months per year. Clarification: during the month where I use my more concentrated products, I don’t use my exfoliating lotion/acid toner. 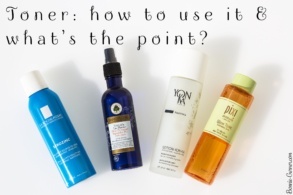 I put it aside and I use a classic soft toner instead (my favorite Yon-Ka lotion or a floral water such as those of Sanoflore lotions with lavender or orange blossom for example). And what about daily scrubs? Personally, like I’ve already explained in my post on scrubs, I’m not a big fan of grain exfoliants, I find them too abrasive. 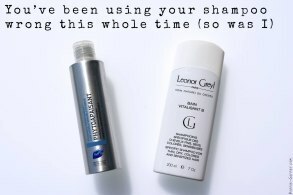 So using them every day, I recommend this even less! It’s too harsh for the skin. Also, they are less effective than chemical exfoliants that act deeper on the skin layers and are more stimulating for cell regeneration. How do you know if you over-exfoliating? Simply by “listening to your skin.” A well-exfoliated skin, as we’ve seen, is supposed to be soft, radiant, fresh and glowy. This is probably because the products or tools you use are too much for your skin. Should you keep on using a scrub if you exfoliate your skin every day? – if you use an very concentrated exfoliating product daily or 3 times a week, no need to do scrubs, there are no more dead cells to remove, for sure! wink If you still want to use one, you can try a very soft one (without grains! ), but once a month max. – if you use a Clarisonic brush, or a Konjac sponge or washcloth/ muslin cloth with your face cleanser every day, a gentle scrub (preferably without grains) once a week or once every 15 days is more than enough. – if you use an exfoliating lotion every day, same thing: 1 scrub per week or once every 2 weeks is a good routine. Personally, and especially since I’m in my 30’s, I’m a big fan of daily exfoliation. Well managed (without exaggeration and paired with a good SPF during the day), it works wonders on my skin. 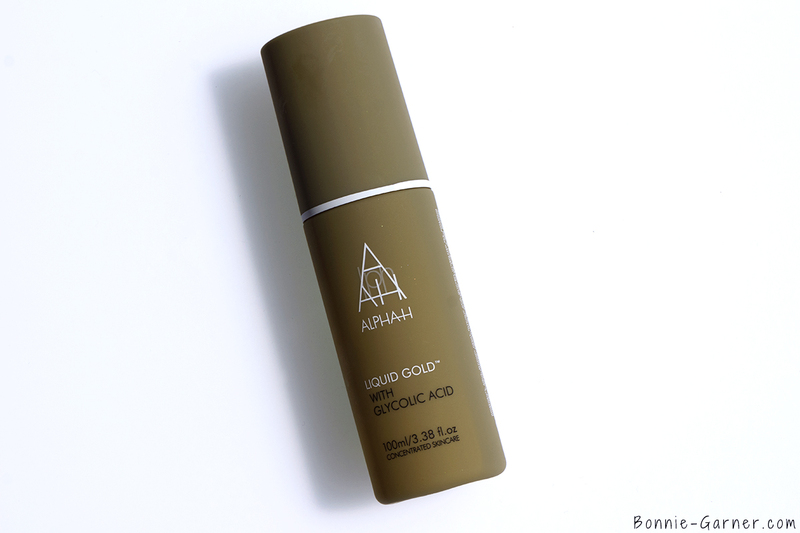 It smooths my wrinkles, my pores (bye bye blackheads!) and even helps me with my hormonal acne. And you, are you a fan of daily skin exfoliation or do all these acids scare you (I swear, they can good for your skin ;) )?